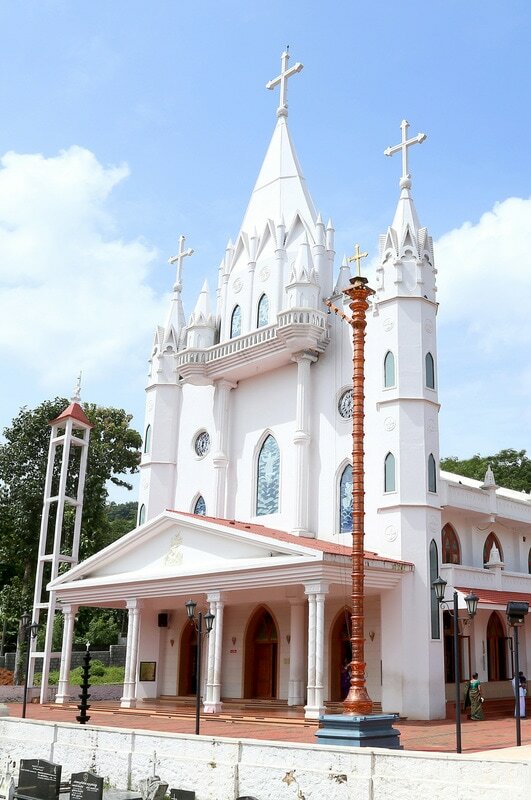 The St. George's Orthodox Church, also known as Mylapra Valiyapalli or Chakkittayilpally, is a pilgrim centre which is situated at Pallipadi junction near Pathanamthitta town. This church of Saint George is famous all over Kerala. Today people visit the church not only to pray but also to see the interior of the beautiful church. 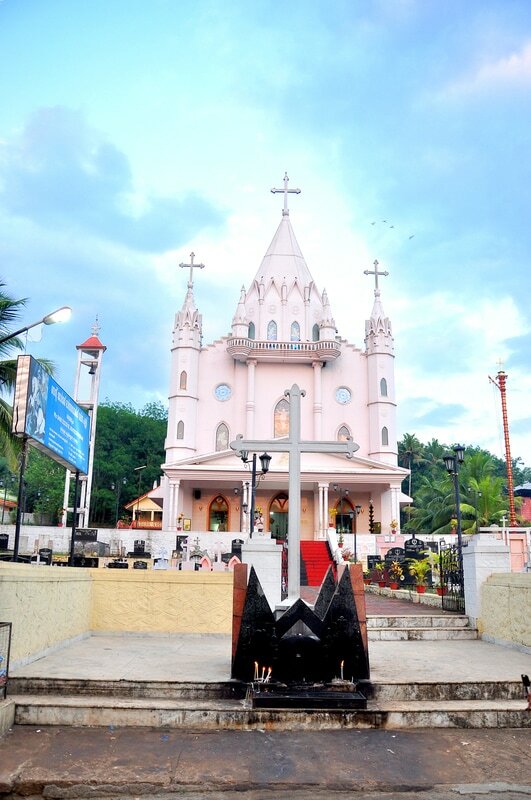 A very popular part of the church is its wayside cross (Kurishumoodu) at the foot of the hill. There is a belief that a traveller will have no mishaps but will return home safe if he stops to pray by the cross when passing by the Punalur-Moovattupuzha Highway. In the mornings, there is often a queue of vehicles waiting to make an offering in the Kurishumoodu which is a non stop stream of blessings. Pilgrims to Sabrimala invariably stop to make an offering here. It is indeed a heart warming sight. This is the first church in Mylapra. It bears the foot prints and blessings of St. Gregorios (Parumala Thirumeni) and has been the pillar of hope, faith, love, blessings and social renaissance ever since its establishments before one & a half centuries. 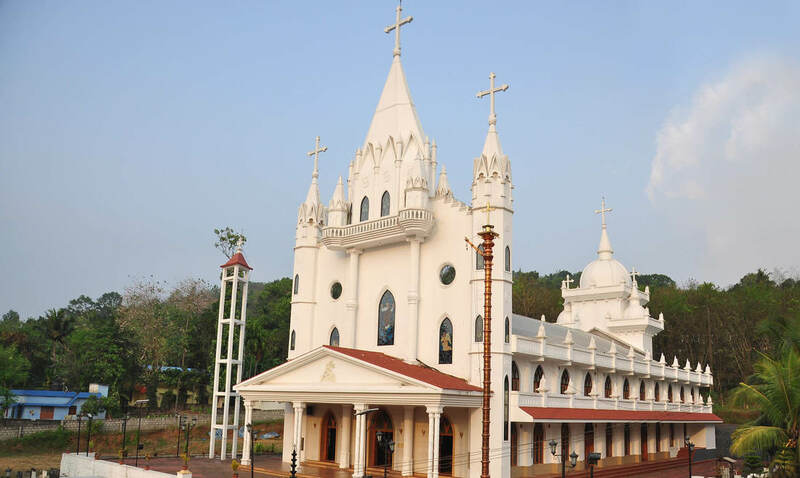 It is one of the largest church in Kerala, in size, spiritual organisation and functioning which reflect the glory of God. Mylapra St. George Church was founded in the early 19th Century witnessing almost all historical events of the church. The current church is the seventh one reconstructed in February 2004. There are 4 chapels at Mundukottackal, Edakkara, Mandapuzha, and Valiyenthi. 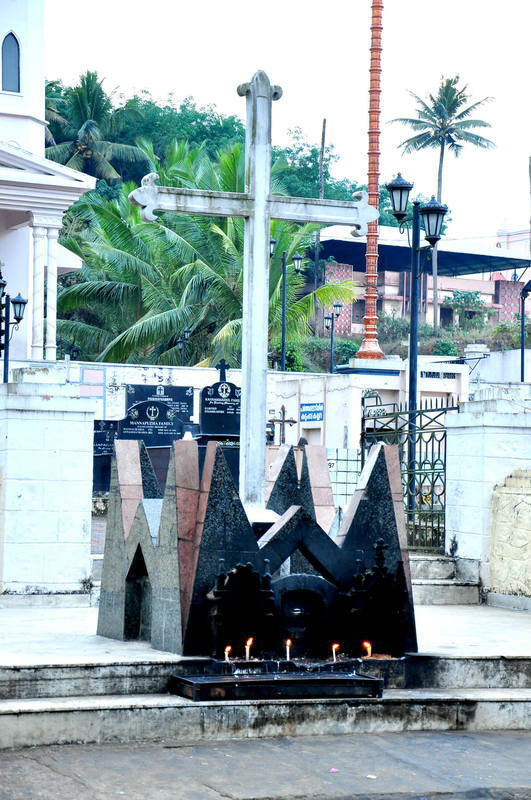 At about 7 major centres of Mylapra village, the church has elevated cross shrines, one infront of the church and the other at Panchayathupadi, Parambilpadi, Valiyenthi, Edakkara, Mandapuzha, Mundukottackal. A handful of active gospel communities like sunday school, youth movement, students movement and senior citizen forum, functions in the church promoting students, youth and senior citizens. St. George is the guardian saint of Mylapra and the feast of St.George is the celebration of the land which is observed from the last of April to the 7th of May.